Many potential graduates take for granted how diverse the tech industry really is. If you roll back a few decades, the perception of joining the tech industry was that you were either a technician or a high-tech designer who created the blueprints for future technology advances. Nowadays, modern technology is so integrated with our personal and everyday lives that working in this industry has a very wide and un-specific definition. Of course, you might well want to be a computer technician, but that could be a technician for everything from tablets to power-plant computers. With such an interesting scope for careers, what could your future hold in this fascinating industry? For many people, they picture the path towards working in the tech industry consisting of hours spent in a university library, studying coding and how to build software from complete scratch. While a computer science degree will certainly get you places, you might be surprised to know just how many people are actually self-taught. In fact, a survey discovered that 69% of developers were self-taught. Having a degree that isn’t necessarily technology focused means that the skills to become a developer can be applied to different aspects of your knowledge and expertise. Want to use your graphic design skills for a website? Want to create software for musicians? Learning the skills to become a software developer can be added as a mere building block for a much wider career. There are also other degrees that can be incredibly useful in the technology sector. Being plugged into so many different servers and networks means that technology is constantly producing data. Whether you end up monitoring user data from an app or email subscription, or maybe even data from a social network, having the statistical knowledge to understand and interpret this data could be invaluable. A career in statistics could take so many different forms when technology is applied. Everyone remembers the first time they could say ‘home’ into their cell phone and it would call home, or the first time they saw Honda’s robot ASIMO doing a stilted run as part of its promotional videos in Japan. Innovation can have so many different meanings when it comes to technology, and they can take the form of either huge global developments or small forward-thinking ideas that could revolutionize how we use our current computer models. The diversity of the tech industry means that you may not have to work in an office, or even full time. This sector can provide a surprising amount of side gigs for people – either out of plain interest or as a development towards a larger career goal. Conducting surveys, tutoring, and managing social media platforms on behalf of other companies can create fulfilling freelance roles, particularly for those who are already completely self-employed. The ability to work remotely means that side-gigs no longer require you to turn up in person or devote hours to traveling to a different establishment. What use is being a website developer if you don’t know what makes for an aesthetically pleasing website? There is a stereotype that creatives go one way in their career and science and tech people go the other. The two are not necessarily exclusive, and this is particularly the case in technology. For instance, you can even have a job where your role is to design a website in a way that is based solely on people’s enjoyment and experience of it. This may seem a bit peculiar and abstract, but being able to create a pleasant online atmosphere means that people are far more likely to stay on the page and explore more. If you attended an arts university and studied animation, you could also be incredibly useful in the realm of website development. Being able to create an eye-catching image that can be animated on a business’s website could open many career pathways for you. Social media: Managing a business’s social media pages is increasingly becoming a role that freelancers and full-time employees are assuming. Understanding how to boost posts and respond adequately to customer questions are skills that weren’t around 10 years ago. SEO: While the World Wide Web has been around for quite a while, the idea of search engine optimization has never been so popular. 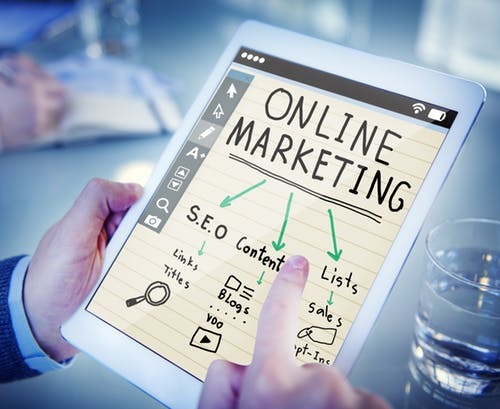 Propelling your business’s website to the top of Google’s results requires a set of skills that take into account a knowledge of keywords, link-building and how not to be penalized by Google Panda. Customer service: This is perhaps the one area of modern marketing that isn’t considered by many as ‘promotional.’ However, a dissatisfied customer can do a lot of harm to a company’s reputation. The creation of ‘chatbots’ to answer customer questions have created a unique spin on the idea of ‘FAQ.’ A chatbot gives the illusion of personalized help but also helps to save businesses plenty of money where a call center is concerned. They also fulfill the marketing need to keep visitors on your website for longer. Whether you teach yourself how to code, get a degree in statistics to process web data or become a modern-minded marketer, the tech industry has never been such an exciting place to work. Gone are the days where creatives went one way and scientists went the other – your imagination could be used to build a website or market a new mobile app. The technology industry could open up a number of pathways for your future career, however you decide to embrace it.